January 29, 2019  California's largest utility, PG&E, filed for Chapter 11 bankruptcy protection Tuesday — the second time in as many decades. Wildfire victims are concerned they will not get their fair share. 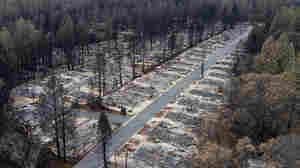 January 29, 2019  The utility is facing billions of dollars in legal liability for fires caused by its equipment. PG&E filed for Chapter 11 bankruptcy, which would let it restructure its debts. 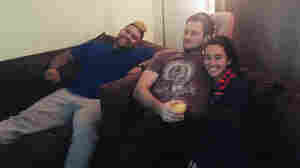 January 16, 2019  A novel housing program in California links people who have served long-term prison sentences with those willing to rent space in their homes. January 14, 2019  California's largest utility plans to file for bankruptcy, facing potential liabilities of $30 billion from 2018 wildfires. What will this mean for shareholders, victims and 5.5 million customers? 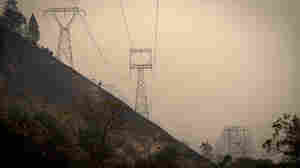 January 14, 2019  The utility says it could be facing tens of billions in liability costs connected to the 2017 and 2018 Northern California wildfires. PG&E also says its CEO is stepping down. January 4, 2019  Senior officials at Pacific Gas & Electric are working on a plan to sell off the company's natural gas division to avert bankruptcy and raise funds to cover huge projected liability costs. November 15, 2018  Butte County is among the poorest in California. Residents whose homes were destroyed are now in a tough spot as the county doesn't have enough existing housing for the thousands who are displaced. November 14, 2018  Most of the town of Paradise is now homeless. What happens to the town and what happens to the 27,000 without homes in northern California? 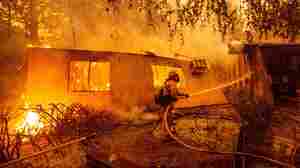 November 14, 2018  The death toll climbs to 48 in Calif. wildfires. Britain's prime minister presents a Brexit plan to her Cabinet Wednesday. And a look at China's growing repression of mostly Muslim minorities. November 13, 2018  The remains of at least 42 people have been located in charred areas of the wildfire still burning in northern California outside of the city of Chico. More than 200 people are reported missing. November 8, 2018  Ventura County Sheriff Sgt. Ron Helus, a 29-year veteran of the department, was one of the first officers at the bar shooting in Thousand Oaks, Calif. The department says he died in the line of duty. November 8, 2018  Voters in Florida overwhelmingly passed an amendment to restore voting eligibility to former felons. It was one of several criminal justice initiatives passed across the county this election. November 8, 2018  Jeff Sessions resigns as attorney general and is replaced by a Trump loyalist, Matthew Whitaker. And the midterms bring the first major White House shake-up since Democrats won control of the House. Is There A Cure For Hate? 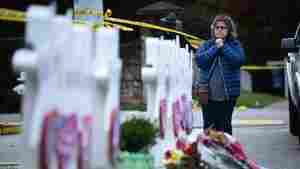 November 6, 2018  After the Pittsburgh mass killing, many are wondering how to turn extremists away from violence and hate. But there is very little research, and even less funding, to make that happen. 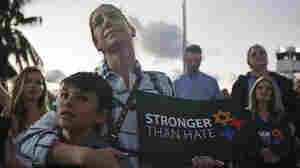 October 29, 2018  A rise in anti-Semitic rhetoric has become normalized in this country and, unless it is condemned, it gives the green light to extremists, warns the Anti-Defamation League.